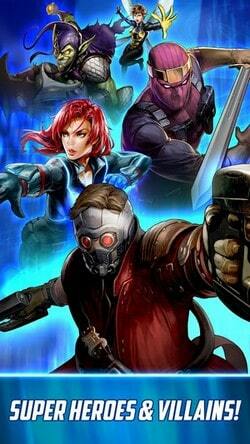 We welcome you to MBL or MARVEL Battle Lines an Android Game. 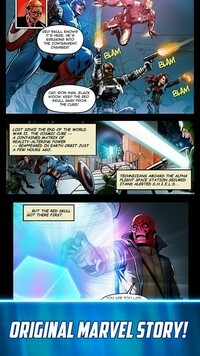 Lines The Cosmic Cube has been shattered, plunging the Marvel Universe into chaos! Now, you must join forces with Super Heroes and Villains, including the Avengers, the Guardians of the Galaxy, Spider-Man, and more, to collect the shards and restore the universe. Collect over 100 of your favorite Marvel character playing cards including Captain America, Thor, Daredevil, Venom, Doctor Strange and Thanos. Build your perfect deck and send characters into action in single-player mode, or go head-to-head with players across the globe in pulse-pounding PVP competition. 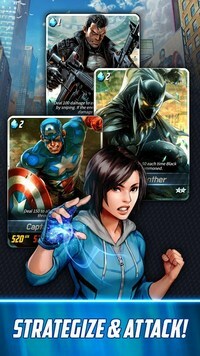 Set your strategy and send them into action in this legendary card collecting battle game. Collect over 100 Super Hero and Super Villain cards including Iron Man, Black Widow, Spider-Man, Loki, and more, in stunning art styles that make each character portrait a collectible masterpiece. Build your deck to create your most powerful team. Combine Super Heroes and Super Villains from the Avengers, the Guardians of the Galaxy, the Defenders, S.H.I.E.L.D, and much more! Set your strategy: Use your cards to grab three in a row then attack your opponent. Battle in single player mode and compete in PvP from the very beginning. Unleash powerful action cards to take down your enemy. 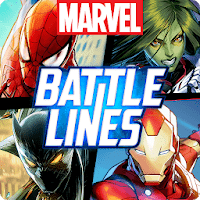 Please visit the official Marvel Battle Lines Forum for announcements and event details! Marvel Battle Lines requires at least OS 4.4 / Samsung Galaxy S6 or better for smooth gameplay. The game may crash on devices that don't meet these requirements. This app offers in-app purchases. You can disable this feature by adjusting your device settings. If the app does not request consent for the permission, you can manage the permission by the above steps.